Fox, the gigantic American news and entertainment company, has bought Sky, the slightly smaller British news and entertainment company. 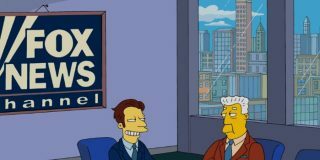 Fox already owns an impressive amount of stuff: TV channels like Fox, Fox News and FX, TV shows like The Simpsons and Modern Family, movies like Titanic and Avatar (anything with the giant 20th Century Fox statue at the beginning), dozens of ‘Fox Sports’ channels, and even the National Geographic magazine. Sky is big too, but definitely less big: they broadcast things like Sky 1, Sky News, and Sky Sports in the UK and Europe. Fox actually already owns about 40% of Sky. A few years ago they tried to buy the rest, but were stopped by the government. Now they’re back for a second shot. Fox is basically going from gigantic to ginormous. What are monopolies and what is market power? 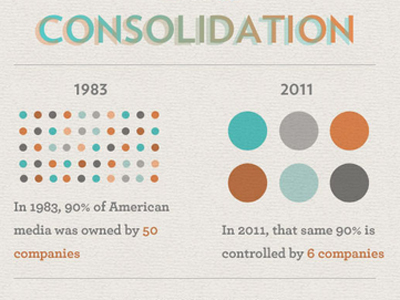 Monopolies are when one company (or person) owns everything in a particular industry. Companies with a monopoly don't have to worry about competition. 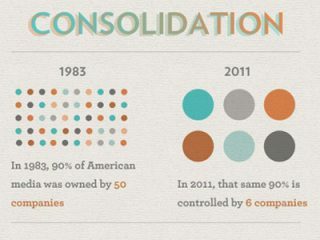 Market power is when a company owns enough of an industry to limit competition but not completely get rid of it. , because it will control an even bigger share of the media industry. Usually it’s worrying when one company (or a small group of companies) has too much market power because they can use that power to raise prices. For example, if one lucky person managed to own all the avocado trees in the world, they probably couldn’t charge a hundred dollars per avocado—at some point people would stop eating them— but they could certainly charge more than what we’re used to paying. This story might be all over the media, but people don’t actually seem that worried about it. The media market is large enough that it’s hard to imagine Fox being able to push prices up on its own. They still won’t be the biggest media company either: they’re currently at third place in the US, after Comcast and the Walt Disney Corporation. People are worried that more concentrated media ownership will lead to less diverse news coverage. If fewer people are in charge of our news and entertainment, then fewer voices and viewpoints will be reflected in the news we hear and the shows we watch. , but combined together, they do a lot to shape how we think about bigger issues in politics or economics.